Disaster Cleanup Services of Castle Rock provides a quick and decisive response to water damage caused by flooding or other means. When left to its own devices, water will cause immense damage to a home, sometimes so thoroughly destroying the structure that it has to be demolished. No matter what the scale of the water damage is, it needs to be identified and dealt with correctly to keep your home safe and secure. If ignored, water damage will greatly reduce the value of your home. If it is not dealt with properly, water damage can and will cause serious mold issues in addition to damaging the structure of your home. Disaster Cleanup Services of Castle Rock is here to help, and will take care of the water and do everything possible to prevent further damage. Not only will Disaster Cleanup Services of Castle Rock remove the water and prevent damage from spreading, but the service will also fix the damage and other issues caused by flooding. The area reached by the water damage will be completely dried out, in a way that no mildew or mold will be able to grow there. This guarantees the safety of the room for years to come. Even if a surface looks dry, moisture can still remain inside concrete, under carpet, or in wood and drywall. This will create mold, which releases harmful particles into the air that can be lethal if not properly dealt with. Because you never know when flooding or other water damage issues will strike, Disaster Cleanup Services of Castle Rock has technicians available by phone 24/7. 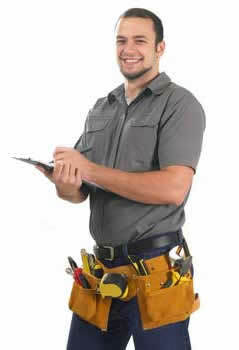 Once you call, you will be guided to do everything you can to prepare your house for the technicians. Disaster Cleanup Services takes pride in using the most up-to-date, top-of-the-line equipment and procedures to clear the water and the damage it caused out of your home. Disaster Cleanup Services will only hire technicians who have demonstrated their superb quality with years of experience. The state-of-the-art equipment allows the tasks to be completed quickly and efficiently, keeping the prices affordable. Everyone who has been in a disaster situation knows how stressful it can be. You do not have to worry that Disaster Cleanup Services will take advantage of you by charging more than is required. When you need flood water out, you need it right away, and Disaster Cleanup Services has technicians and equipment standing by to head to your business or home immediately.